Our non-slip mermaid headband for kids in Asian Magenta features cascading shades of purple scales! 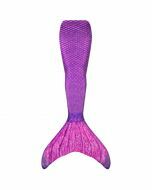 Match it to your Asian Magenta swimsuit and mermaid tail for a complete look! Dreaming of your next mermaid adventure? It’s easy to live like a mermaid when you have all the right accessories! 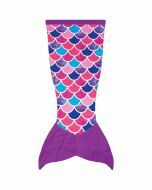 Our stretchy, non-slip Asian Magenta mermaid headband for kids made of the same material as our mermaid swimsuits and tails makes it the perfect choice when you’re looking to secure your mermaid hair and start swimming!